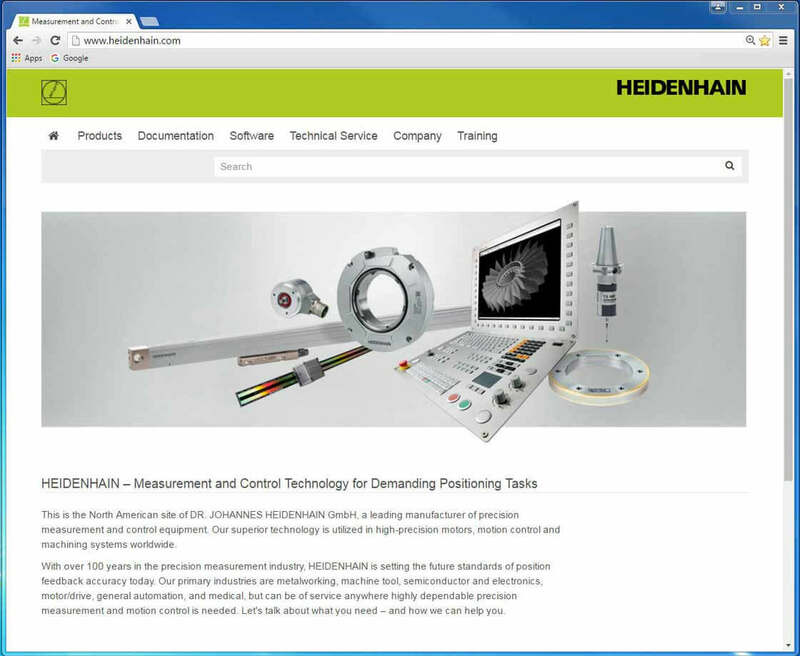 SCHAUMBURG, IL (July 2016) – As a leading manufacturer of precision measurement and motion control equipment, DR. JOHANNES HEIDENHAIN GmbH has recently launched its new user-friendly website for worldwide use. HEIDENHAIN, an international company, has made translation to many languages available on the site at www.heidenhain.com. Of particular note, HEIDENHAIN has made the new website easier to search for parts needed by machine builders and end users alike. In just a few mouse clicks, users can download documentation such as Data Sheets, User Manuals, Installation Instructions and CAD drawings for most HEIDENHAIN products. Interactive drop-down menus on the new site include: Products, Documentation, Software, Technical Service, Company, and Training. With the largest breadth of products for the motion control industry, HEIDENHAIN’s new site literally has everything users need at their fingertips. North American users can contact HEIDENHAIN directly through the website, as well as sign up for the various eNewsletters that share regular information about innovative motion control technologies. For more information, contact HEIDENHAIN’s North American Public Relations Manager Kathleen Stoneski at (847) 519-4702 or write to us at HEIDENHAIN CORPORATION, 333 E. State Parkway, Schaumburg, IL 60173.